November 11th carries the breeze of true liberation that the exaltation of Uranus in the sign of Scorpio speaks of, but might come along with many bumps in the road that need to be resolved first. Purity is needed in all areas of life and heart of those born on this date, if they are to follow their mission in life with their powerful light shining through. They are special, authentic, and know how to create something good out of any situation that life sends their way. This is a unique planetary row that points out the importance of Self for the entire calendar, and specifically in individual lives of those born on November 11th. It is a time when four suns are to share one spot in one sole person, and this is quite a difficult task to bear if one isn’t in constant tune with their inner child. The essence of life force is seen in lives of these individuals, and while they will inevitably struggle with authority figures until they reach the point of clear inner authority to command them, they will still create and initiate new things in their life and their surroundings no matter their circumstances. Their impact on the world is great, no matter their level of consciousness, but without enough faith and openness to understanding the ways of the Universe, they could turn to egocentric behavior that spins in circles, or fall under outer authorities in situations that require their own strength of will to shine through. "A Parrot Repeats the Conversation He Has Overheard"
With so many suns in their row, it is obvious that the input of the outer world, opinions and the will of others may present a threat to their own train of thoughts. Even if they are centered and stable in their own attitude, they could become a subject of gossip or intrusions of opinions from others that belong to the collective, rather than anyone's inner truth. They need to spend enough time alone to find their way of expression that is clean of the environment and truly something to guide others towards the light. Saturn as the final destination of those born on the 11th of November points out the importance of Sun's fall in Libra followed by Lord of the Rings’, Saturn's exaltation. Although father figures in their lives might be strict or truly difficult, they are to rise above the image of father and find a much larger core of Creation above. What they manifest in life depends on their ability to embrace, accept and metabolize circumstances coming their way, as they take a step back to resolve their own shadows instead of constantly rushing forwards. On their path, they need solid boundaries and enough distance from other people so they can be sure about their internal states and understand their meaning. With greater powers at force, individuals born on November 11th are extremely emotionally potent but easily bruised at a young age and until they stand firm on their own two feet. To ground their ideals and make a stable link between the spiritual world they wish to ascend to and something as simple as sexuality, they need personal balance intact and to flow with emotions that they would normally overthrow or shove aside. Their complexity is to be embraced and their individuality accepted so they can accept it in their partner as well. Born special, they could do everything in their power to blend in and need someone of equal personal strength to remember the exact amount of respect and self-respect needed to connect and stay healthy with a strong individual by their side. Once they find their personal stability, they tend to form romantic relationships with those who are strong willed but need their protection. In return, they will find the feeling of home and enough love to support them in their advance motions. 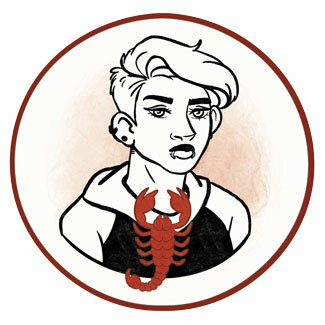 A Scorpio born on November 11th is born to be a leader and someone that others will revolve around, but strong positions are to be obtained by an attitude that is respectful of other people, especially other authority figures, and themselves. They will make beautiful things, manage others to do the same, and be the public figure that represents those who work hard for their goals. With their understanding of deep source of shame in others, they can become excellent detectives and those who see the motives behind the deed. 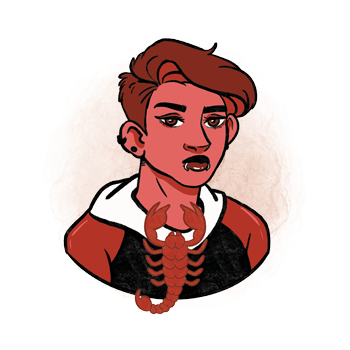 To power up their ability to conduct the higher thought, their own ideas and creativity into the real world, Scorpios born on the 11th of November should carry gold. Although this isn’t exactly your typical healing stone, it stands for the purity of spiritual aspect of "all that is" and helps these individuals maintain communion with their own inner light of life. Gold will support them to deal with the overburden of responsibility and it helps them mobilize, activate from a healthy position without rushing, so they can clearly see their true potential. When considering a gift for someone born on November 11th, it is best to get creative and focus on their childish desires and needs. Buy something they can paint on, take them to the theater or to a fancy gathering where they have to dress up and show their dignified glow. They will appreciate expensive, branded or gold trinkets and presents that come from the heart, but be careful to always openly approach them in your attempt to show your appreciation and love. Creative, willful and expressive, they see the light in others and feel confident they can succeed, no matter what they commit to. Loyal and warm, their honesty refreshes stale surroundings and brings change to systems that need restructuration. Closing their heart for disrespectful bonds instead of metabolizing their effects on the emotional world within, they become stiff, pushy, their own attitudes the core of their ego battles. Narcissistic and revolving around themselves, they could have trouble taking a step back and seeing the other side of the equation, other than their own. In 1821 Fyodor Dostoevsky was born, a Russian novelist and short story writer, famous for The Idiot, The Brothers Karamazov, Crime and Punishment and others. He was sentenced to death for belonging to a literary group that discussed banned books, but his sentence was commuted at the last moment. In 1962 Demi Moore was born, an American actress, model and songwriter, who rose to fame with her lead role in the movie Ghost. She was left by her biological father before she was born. Her mother married another man when Demi was three months old who killed himself just before she turned 18. In 1974 Leonardo DiCaprio was born, an American actor and environmentalist, known for his roles in Titanic, Catch Me If You Can and Inception. He has owned environment-friendly vehicles, his home is powered by solar panels, and at some point even interviewed President Bill Clinton to discuss plans to deal with global warming and the environment. 1215 – The doctrine of transubstantiation is defined, the process by which bread and wine are said to transform into the body and blood of Christ. 1675 – integral calculus is demonstrated for the first time by Gottfried Leibniz (born on July 1st). 1750 – The first college fraternity is formed, known as the Flat Hat Club. 1865 – The first time that a woman receives the U.S. Medal of Honor. 1930 – Albert Einstein (born on March 14th) and Leó Szilárd (born on February 11th) are awarded the patent for the Einstein refrigerator. 1992 – Women are allowed to become priests by the voting of the General Synod of the Church of England.